The rapid growth of the software development industry and telecommunications in South East Europe has created the need for professionals with expertise on data networks. This master’s course offers up-to-date knowledge in fields expanding from software engineering to telecommunications.ications. Because the final degree is given and certified by the university of Sheffield, a university that is ranked among the 15 best in the UK. Because the fields of information technologies and telecommunications are the fastest growing sector in the economy of the EU, hence there is never ending need for professionals who can develop internet and mobile applications for innovation products and services. Because you will learn all about cutting edge technologies in wireless communications and mobile systems, including 4G and future technologies that are currently under development. Because the knowledge given will grant you the opportunity to find employment in Europe or everywhere around the globe. Because subjects are being taught by specialized, academic faculty with experience and success in the actual labor market and by acclaimed researchers. All courses feature workshops as well. To focus on the science of data networks with extensive coverage of all the stages to create effective software systems that the business worlds actually needs. To cοnduct a research and compose a thesis under the supervision of the faculty. To focus on creating post graduates that are experts on fields that are in high demand in the labor market. Students can choose their field of future expertise from web and mobile application engineering, security, telecommunications and data analytics. To focus this course on industrial models approved and needed by actual businesses so that students will be effectively prepared for a career in every sector of the economy relating to IT. To obtain substantial experience through practise in the innovation industry’ s most successful companies that can the beginning of career in IT. To educate on the principles of software engineering, a science that has different applications in our everyday life. Students will be taught how to create quality software systems that will can catch up to to constant changes of the labor market and the evolution of technology. To have a scientific personnel of expert teachers and researchers with experience and successful cvs, teaching in the classes. 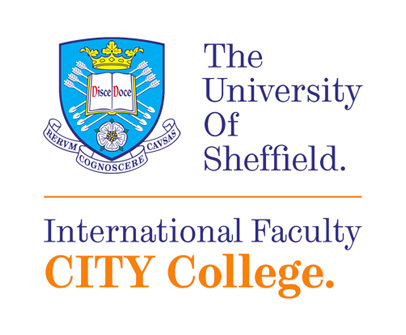 The professors of Sheffield university have been long teaching in academic environments and have been involved in research groups and studies. Frequent seminars with guest speakers from the tech industry and the academic world complete the learning process. This unit provides the student with a deep and thorough understanding of advanced concepts in selected areas of digital communications, computer networking and Internet technologies, including analog and digital transmission techniques, data coding and error control, Local Area Networks, Data-Link layer protocols, Internet working protocols and architectures, Transport layer protocols, circuit / packet switching, optical networks, network security and cryptography, etc. Emphasis is given to protocols, algorithms, architectures and performance analysis. The unit further targets: a) to enhance the graduate students’ comprehensive, analytical and critical thinking, by exposing them to advanced research paper work and investigation of the revolutionary developments in the telecommunications sector and b) to provide the students with practical experience on inter-related networking issues and improve their synthetic and analytic capabilities, by means of network analysis project. Moreover, the student will be engaged in the network modelling process. This unit provides the student with a deep and thorough understanding of advanced concepts in selected areas of Wireless and Mobile Telecommunication, including signal transmission fundamentals, antennas, wireless LAN protocols and architectures, mobile internetworking and data transport, cellular technologies and services (GSM, 3G/4G mobile), satellite communications, wireless systems security, and PAN technologies such as Bluetooth, etc. Emphasis is given to protocols, architectures, performance analysis and services that enable or are enabled by these technologies. Complete the following form and we will contact you to discuss all the details concerning MSc in Advanced Software Engineering – Data Networks.